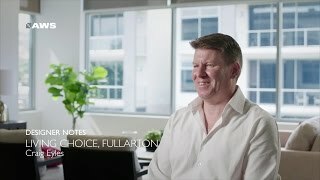 Our Designer Notes Series of video case studies highlight exceptional use of Elevate windows and doors in beautiful architecture throughout Australia. When the owners of the old Melbourne Hotel in Perth’s CBD decided to give the beautiful heritage building a new lease on life, they were keen to synergise the historical with the modern to create something utterly beautiful and unique. 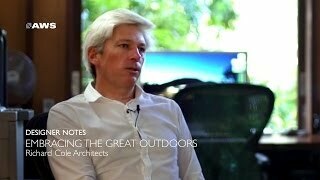 With the help of architect, Lou Cotter, and the experts at AWS, they have achieved just that. The 702 SlideMASTER is a fantastic way of achieving those really big spans. This system we chose because of the ability to have such a large panel. 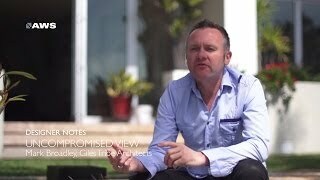 Owner/Builder Simon Williams walks us through his beautiful Canobolas House in Orange NSW. To attract as much warm sunshine into the home as possible, owner/builder, Michael Paddison, oriented most of the house to the north and made windows a key focus of his design. Not long ago, you could be forgiven for being unaware of the TAFE campus in Murdoc WA. It was, after all, a fairly non-descript facility, resolutely overshadowed by its near neighbour, Murdoc University. Enter the architects at Armstrong Parkin who have transformed South Metropolitan TAFE into a show-stopping building that has the whole precinct talking. Victoria Reeves of Kennedy Nolan Architects tried to achieve a scale that you wouldn't normally see in a domestic building - to bring a simplicity and abstractness to the project. She achieved just that. The result is a beautiful oasis of light, views and green spaces that perfectly reflects the client’s wishes and Victoria's design. 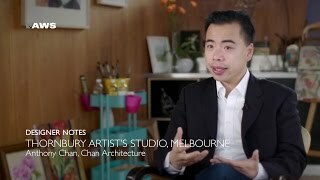 Anthony Chan of Chan Architecture relays why the Elevate™ system was chosen. Windows needed to be double-glazed because the studio is south-facing and Anthony didn’t want to lose all the heat and the profiles needed to be slim. Will Corner from Architects Corner speaks about a unique design where the home has been curved and a ramp was implemented. Craig Eyles discusses how with large stacking sliding doors you need a large screen to pair with it, when you get up to 6 storeys, you have the high winds that can pull and bend a screen out of shape. AWS went away and redesigned a door to get the screens to slide internally and not compromise the performance of the door. 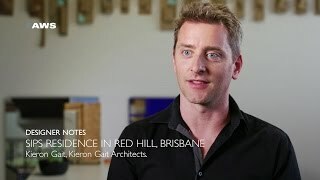 Architect Kieron Gait, Kieron Gait Architects; talks about this simple, modest extension in Red Hill, Brisbane, redefining the way building materials are utilised within a home. The construction utilises a modular structural insulated panel system (SIPS) to reduce construction time and allow economy of site labour. When Kel Greenway of GHP had his daughter and son in law as a client, they were in safe hands. An elegant and simple home that is bringing ongoing day to day enjoyment to its young, growing family, exceeding expectations in blending light and lifestyle into a functional family home. 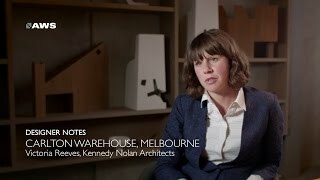 Architect Tina Tziallas from Tziallas O' Meara Architecture studio talks about Bundaroo Street House. Tina describes how this dynamic project gave the design team many challenges. Each time one was resolved it left the design felling so much better for it. The project became an interesting exercise in how to maximise the performance of the house to ensure exceptional energy efficiency. Thermally broken windows and doors from the Vantage® ThermalHEART™ range are used throughout, allowing Tina to achieve the design resolution she desired for her clients without compromising on the efficiency and comfort of the living space created. 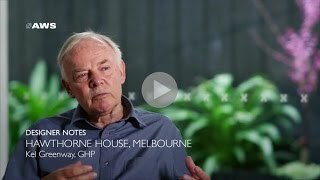 Building Designer Mike Cleaver is an absolute advocate of AWS. Mike loves the ability to mix and match AWS suites in a custom built project like this. Architect Ben Vitale worked hard to make this project something special, living on the site and completing literally hundreds of sketches before resolving the design for this tranquil, rural home. Lots of consideration was given to the way the home is positioned on the site and the role of windows and doors in maintain thermal comfort. 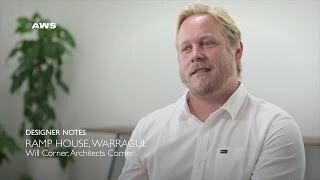 Damian Rumball, Project Manager at GEOCON, talks about the tallest residential building in the Canberra region. The vision for Wayfarer was to incorporate all the things we love to live with – sunlight, ventilation and connection to the outdoors. With this in mind, an intricate dance of glass and aluminium was required. Mat Elkan saw the site’s glass panels - weighing a massive 250 kilos each - being lifted in, he had what you might call ‘a moment’. Mat talks about how the four year undertaking was very collaborative with the client. Hamilton Hayes Henderson Architects have been college architects for Emmanuel College for 20 years next year. This time, part of the brief was to have this building to redefine the brand of the school. 'Pop out' windows were incorporated into the design to allow for students to have a connection with the outdoors and a little nook where they can sit and have some time out. Giving them the opportunity to interact with the architecture and window design. Resurrected from its previous location in a stuffy hospital basement, Western Sydney University’s Clinical School now stands proudly at the gateway of the university precinct. 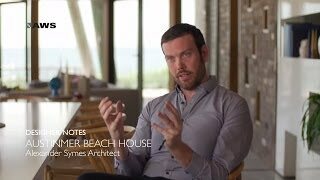 Chris Blaber is the owner builder of this project, a modern take on a beach house. With a stringent energy report, Chris was faced with the challenge of not building his windows to their specification. But after speaking to us - design was not compromised and we ticked the boxes of the energy and fire ratings. 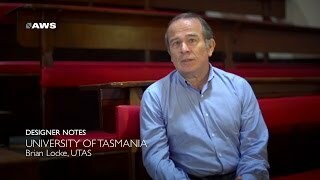 Architect Brian Locke gives us a look at a fantastic refurbishment of the heritage listed University of Tasmania, which was originally designed in the early 20th Century. ThermalHEART aluminium windows and doors were utilised due to Tasmania's extreme climate- hot in summer and cold in winter. Rolling hills, views to the north that stretch forever, a horizon as breathtaking as it is distant – small wonder the owners of this spectacular slice of paradise wanted to open their lifestyle to the great outdoors. Architect Richard Cole speaks about Bluff Farm. 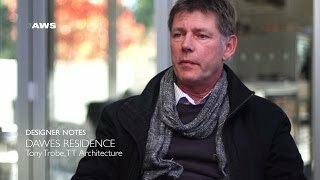 Architect Tony Trobe from TT Architecture talks about AWS ThermalHEART™ aluminium windows and doors used throughout the Dawes Residence. Thermally broken aluminium window systems for energy efficiency in cool Canberra. Paul Godsell from Crawford Architects had a key brief from the client - take on as many sustainable building techniques as you can. The result? 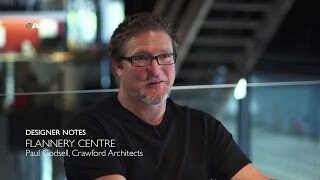 The Flannery Centre creates its own energy and puts power back into the grid. Mark Broadley from Giles Tribe Architects discusses how glazing was fundamental. On a location overlooking the Pacific Ocean, it’s an aggressive marine environment so the windows and doors needed to be able to stand the test of time. 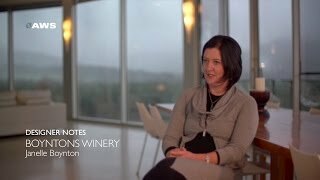 Architect Janelle Boynton speaks about creating Boyntons Winery using Elevate Aluminium Systems to solve design and functionality problems her build was facing. Alexander Symes Architect in association with G+V Architecture utilised a range of systems to maximise natural ventilation throughout the home. They were strategically designed and placed to ensure a passive solar home was achieved to have a comfortable thermal environment.